The ALOGIC Pro Series Slim flexible VGA Cable with 80cm and 30cm 3.5mm Stereo Audio cable Male to Male cable is made out of a premium flexible high resolution coax cable with 3.5mm stereo audio and VGA connectors on each for both audio and video transmission. The Length of audio cable on one side is 80mm and on the other side is 30mm.This cable is designed to allow all ID bits to pass through the cable. 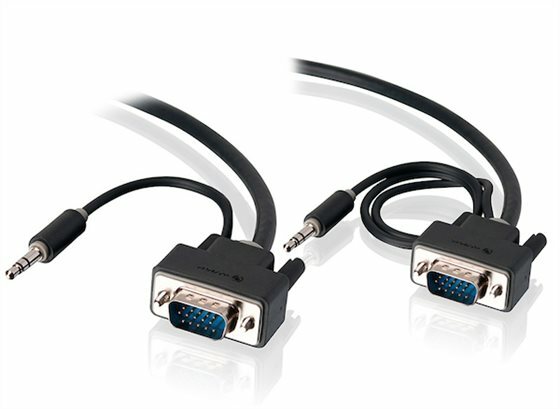 This cable is extremely flexible with low profile VGA connector making it ideal for all AV Fit outs.